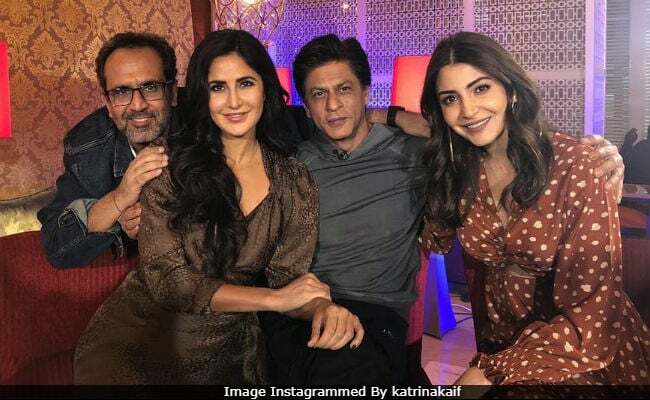 Zero stars Shah Rukh Khan, Katrina Kaif and Anushka Sharma posed for some happy pictures with their film's director Aanand L Rai. The photos were shared by Katrina and Anushka on their respective Instagram accounts. "Together at last," wrote Katrina and Anushka, who posted a similar picture, captioned it as, "All in one frame." Team Zero is currently busy with the film's promotions and the pictures appear to be taken during one of the events. In the pictures, SRK, who plays Bauua Singh, is sandwiched between Anushka and Katrina while Aanand L Rai poses behind the trio. Here are the pictures posted by Katrina Kaif and Anushka Sharma. Here are some of the other pictures from Zero's promotional diaries. SRK also promoted Zero on the sets of Bigg Boss 12, hosted by Salman Khan. Salman has a cameo in Zero, a glimpse of which was shared in the song Issaqbaazi. Bhai ne Phir Jiyra Chakna Choor kar diya. Thank u Big Boss & @beingsalmankhan for a great evening starting with #Zerolove you all. Zero, a love triangle, tracks the story of vertically challenged Bauua Singh, who falls in love with a cerebral palsy patient Aafia, played by Anushka, who is also a scientist. Later, Bauua gets involved with an alcoholic actress Babita Singh, played by Katrina Kaif. Zero reunites Shah Rukh Khan, Katrina Kaif and Anushka Sharma after 2012's Jab Tak Hai Jaan. Of the film, Aanand L Rai earlier said, "I'm super excited, happy. I'm emotionally charged for Zero. We are bringing something which is complete heart. 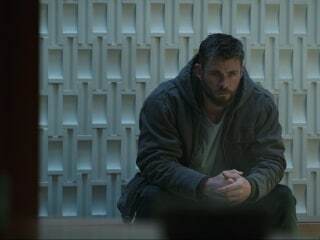 It's been a tough journey but a lot of passionate people have come together to make this film," news agency PTI reported. Zero also stars Abhay Deol, Tigmanshu Dhulia, Javed Jaffrey and R Madhavan. Zero releases on December 21.